A small dog’s dream box. 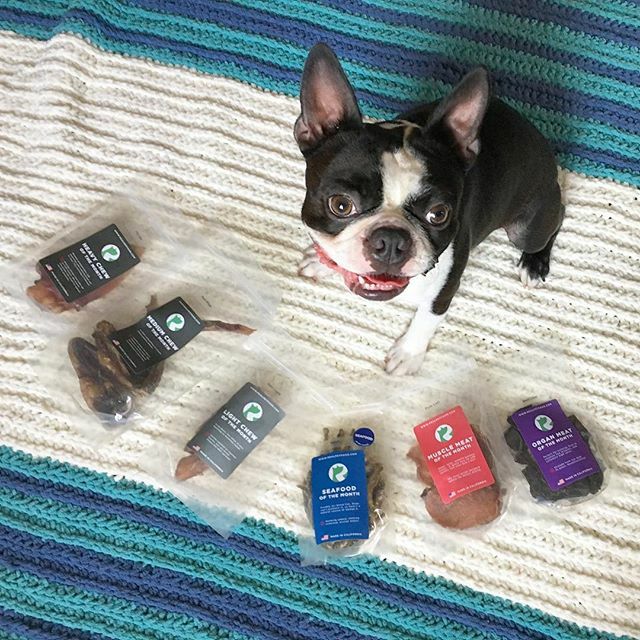 The Mini Treat and Chew Box is a perfect sampler of treats and chews fit for smaller pups or those that aren’t “treated” as often (senior pups). 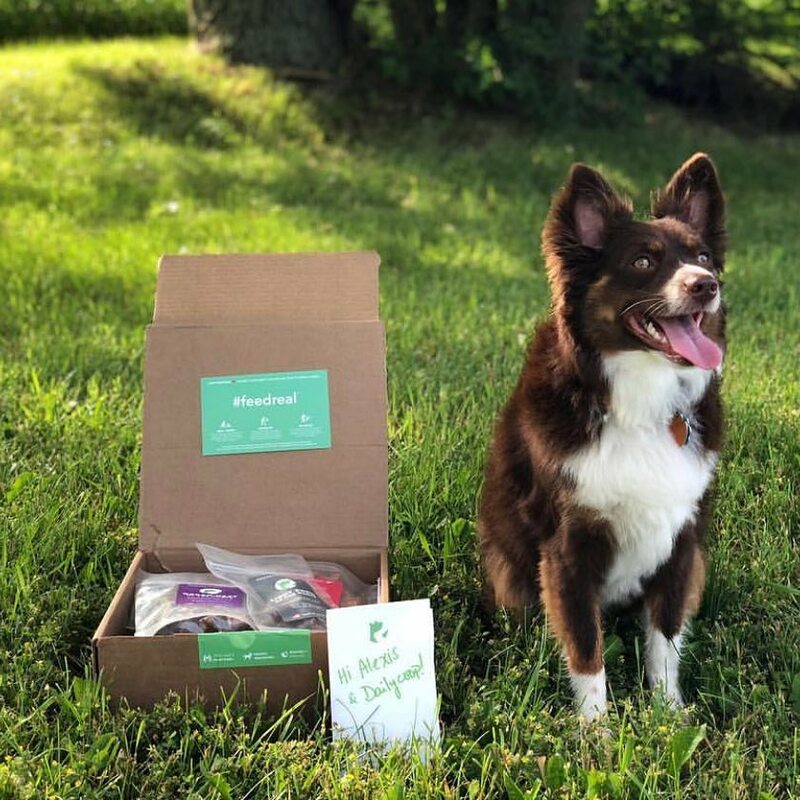 All of our treats and chews are single ingredient, so if your pup has any protein allergies, we can easily customize your box to replace those proteins. The Mini Box does NOT have seafood or heavy chews. 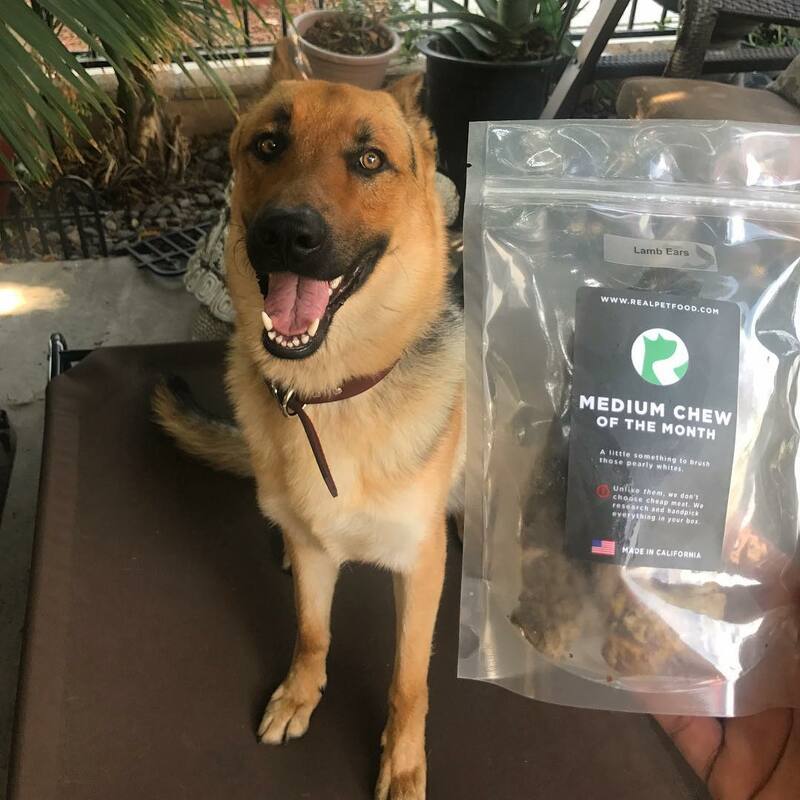 If you’re looking for those items, check out the — Treat & Chew, Treat Only, Chew Only, or Super Chew. 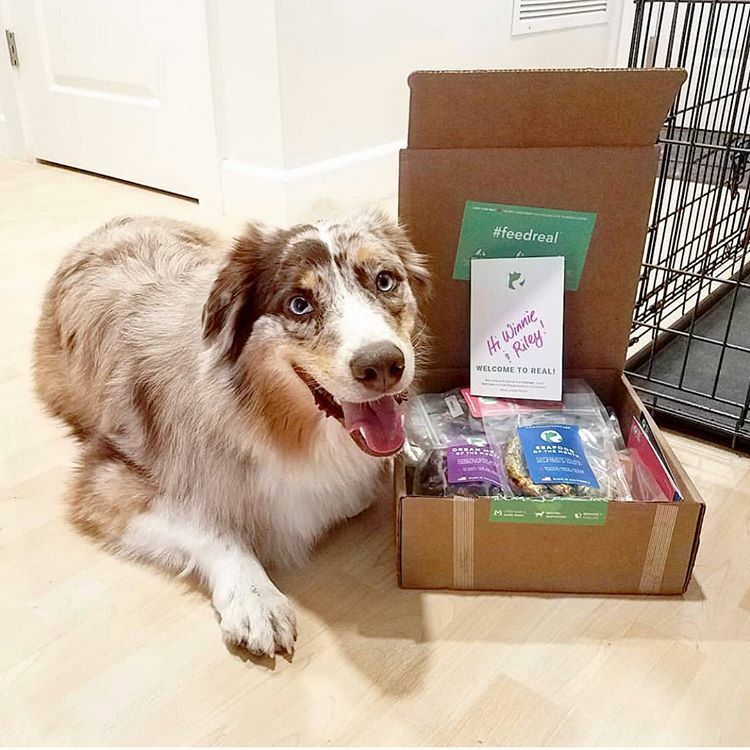 What's in the Mini Treat & Chew Box? 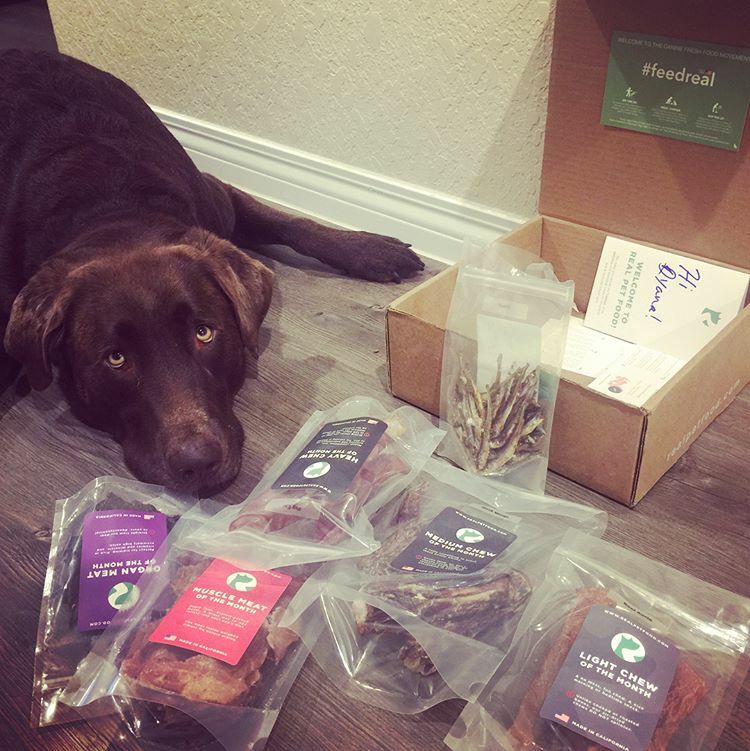 Real treats are a great way to train your dog with healthy treats and introduce real food into their diet. Let us do the work for you. 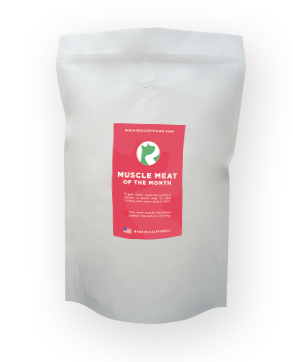 Every month we make and send 2 bags of freshly air-dried treats - muscle meats, organ meats - as well as 3-4 light chews. 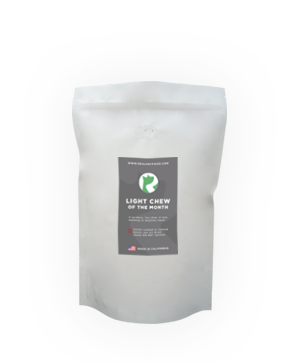 Get a healthy snack in with light chews. 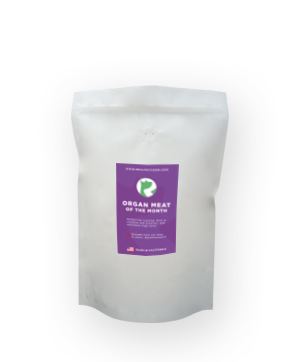 Their unconventional shapes are great for scraping built-up tartar from your pups teeth. They easy and no mess, great for a morning or evening snack. 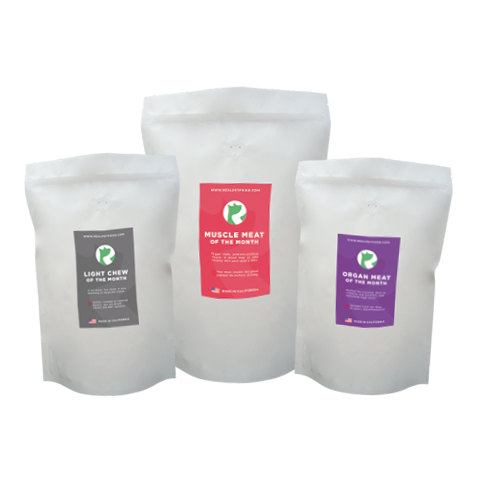 Our treats are made to give your dog an amazing training experience and a diversity of proteins and nutrition they might not usually have an opportunity to consume. 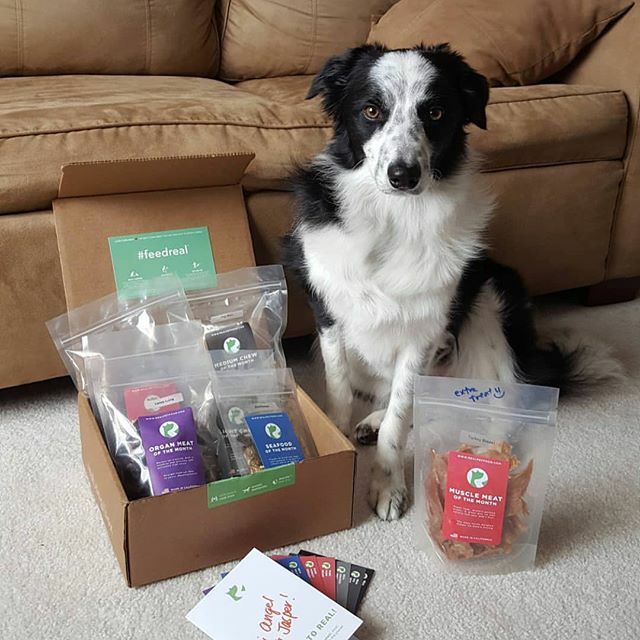 Our members love the variety that comes every 4 weeks and our ability to customize your dog’s box for their needs. 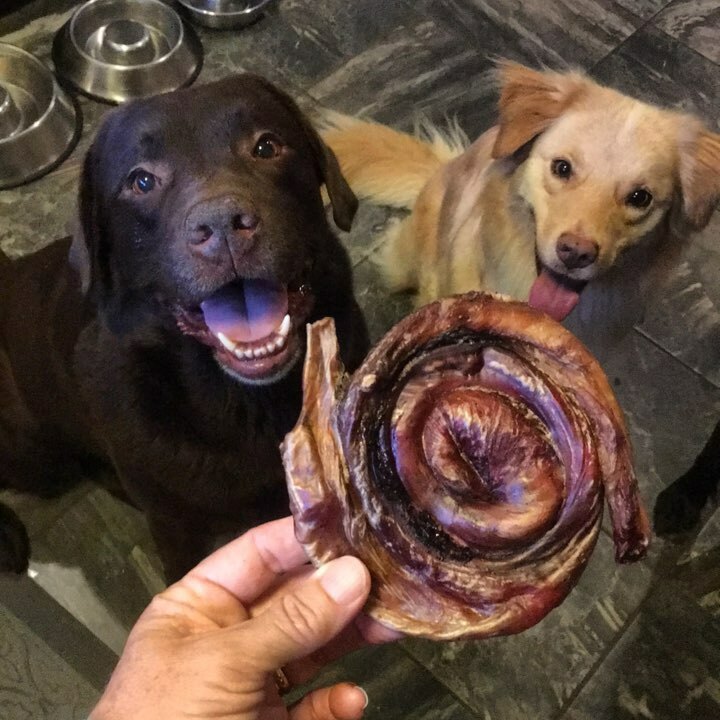 Do you have a dog that is easily satisfied but needs a little something-something on the side? Make that a healthy snack!! That is why we have the Mini Treat and Chew Box, It has 2 different types of treats and a bag of chews. 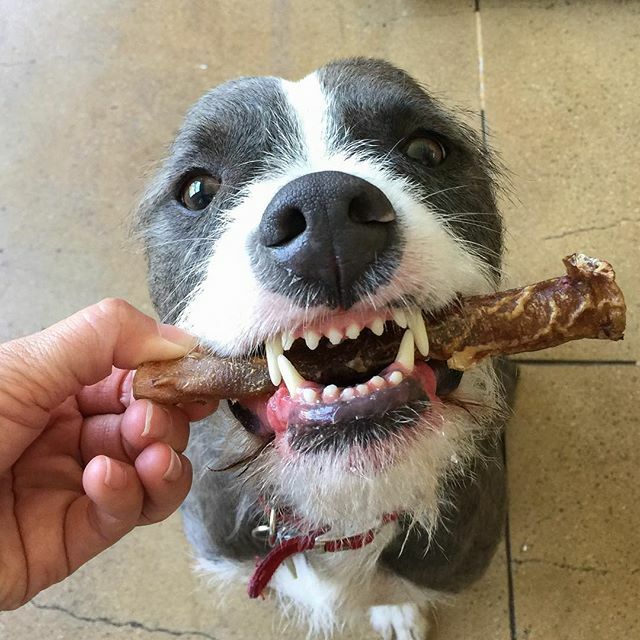 No seafood or heavy chews.